Once Upon A Longbox: Top 5 Books Every Fan Should Read!!! Top 5 Books Every Fan Should Read!!! This is another article that was inspired by an episode of Geek History Lesson that was done in response to a listener suggestion. We will be adhering to the same format that they used on the podcast which is a Marvel pick, a DC pick, a pick from an indie publisher, a pick that came out before 1990, and a wildcard pick that can be from any publisher. But to make it a little more difficult we are going to keep away from duplicating any of the choices that the hosts of Geek History Lesson used. Because we will be covering these books in depth there will be spoilers so be forewarned read on at your own risk. So let’s get down to it…. In 2003 Ed Brubaker took over Captain America and gave the usually goody two shoes character a much needed overhaul. 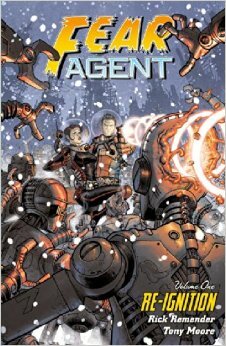 Brubaker and the artists that accompanied him began to recreate the Captain America mythos with a grittier more espionage based feel. Even going so far as to make Bucky a lethal young boy who is unafraid to kill a man whether it be with a weapon or his bare hands. 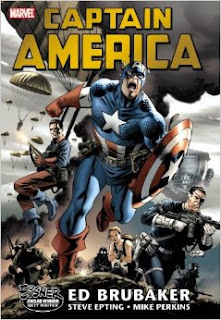 Brubaker’s run is so iconic that the first major arc was the foundation for Captain America: The Winter Soldier. And in the aftermath of Civil War Brubaker created the perfect atonement for Bucky by having him don the Captain America costume and lead the Avengers until the eventual return of Steve Rogers. 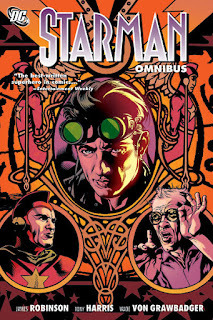 I absolutely adored this book as it was coming out, issue by issue. 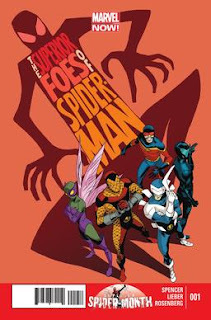 It’s a wonderful way to introduce new readers to how fun the comics medium can be without the burden of large swaths of continuity to worry about or having to be particularly invested in an established character. This series just oozed charm and humor. It’s a heist tale that comes together in the most ridiculous fashion and with characters that are gloriously inept. The whole series is collected in three trades right now. 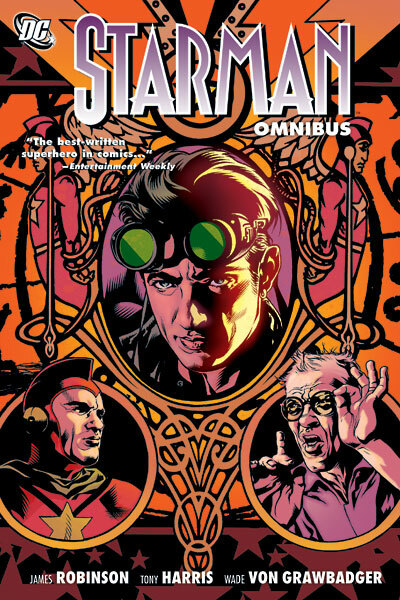 But in February, a single omnibus will be made available. This could be a controversial choice considering it contains none of the trinity of DC, but to me this encompasses what I love most in DC. Lesser known characters interacting with the fringes of the main DC universe. In fact other than a quick tie-in to Blackest Night and a few quick appearances of larger characters Secret Six takes place in it’s own little corner of DC and weaves a tale where the team straddles the line of good and bad. The other highlight to this run was Simone’s choice to bring Bane on to the team. 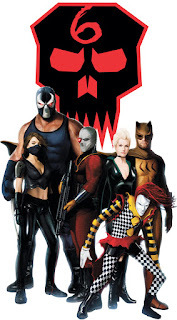 Bane joined the team of Scandal Savage, Ragdoll, Catman, Deadshot and eventually Black Alice for 32 issues of great storytelling right up until DC relaunched with the New 52. Gail Simone used Secret Six to completely redefine Bane, making him a much stronger character who lives in fear of the drug he once used as one of Batman’s toughest opponents. The DC pick was, by far, the hardest pick for me to make on this list. My disdain for DC as a publisher is no secret. Through a combination of reboots and ridiculous editorial oversight, they’re just not a very “new reader friendly” publisher. But this pick was an exception to that. Somehow it was born out of a reboot (the New 52) and involves a character that is usually locked up in so much editorial control that it usually chokes the creativity out of the creators that take a crack at her. But this was different, and it was glorious! Brian Azzerello and Cliff Chiang teamed up to tell a very Xena-esque tale of a band of heroes and their adventures in opposition to the gods of Olympus. 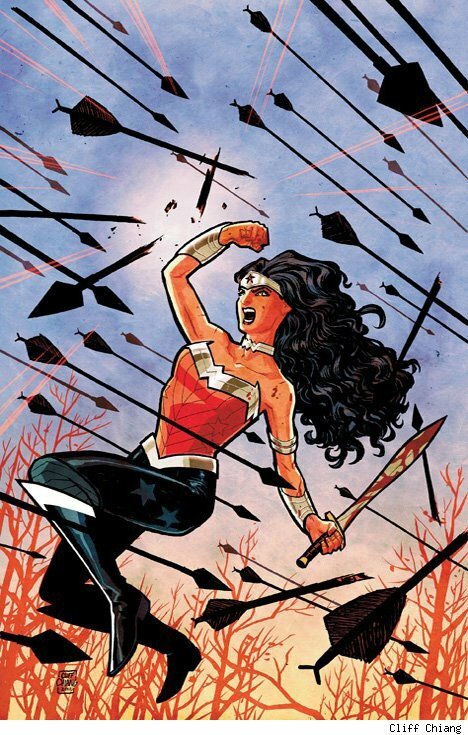 I was especially impressed with Chiang’s depiction of Wonder Woman. She was beautiful, larger than life, and not overly sexualized. He clearly rendered her with the respect she deserved as the only female among the DC trinity. This book goes back and forth with Preacher for the honor of being my favorite book of all time. The story of Yorrick Brown and his monkey Ampersand journeying through a world where everything with a Y chromosome died of a massive outbreak of a disease with no explanation. At the beginning the only goal on Yorrick’s mind is finding his way to Australia to find his girlfriend, but as his journey moves on he gets wrapped up in the agendas of several groups that have risen from the ashes of “death of man”. 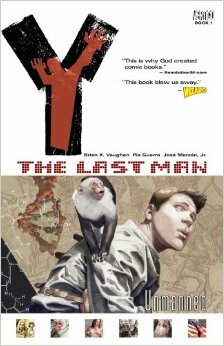 Plus there is the ultimate question of why are Yorrick and his monkey the only male specimens to survive? As a huge Thor fan this was no brainer for me because while Thor was created by Stan Lee, Larry Kieber and Jack Kirby in 1962, but Walt Simonson defined the character he is in modern times with his time writing and drawing the thunder god. Even doing both writing and drawing for a small chunk of the run. As his run begins he introduces the reader to the character Beta Ray Bill, an alien who is the last of his race who was awakened by his living ship Skuttlebutt when Thor is sent to investigate it’s presence. Bill originally fights Thor feeling he is a threat to his existence, and during the battle he is the first character outside of the Norse gods to lift Mjolnir and wield it against Thor in battle. And that’s just how he begins his run. 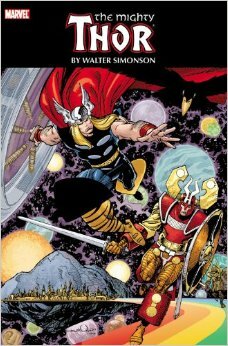 Throughout his thirty issue run Simonson adds many other great pieces to the Asgardian lore of Marvel including Frog Thor, Thor’s second alter ego Sigurd Jarlson, and the main villain of Thor: The Dark World Malekith the Accursed. As well as he strengthened pre-existing characters like Baldur and the Warriors Three by flushing them out and giving them more character. I think I’ll have to bow out on this one, as I didn’t really get into comics until the early 90s and most of what I went back and read isn’t exactly new reader friendly. For example, I’d say the Dark Phoenix saga is an incredible read, but I couldn’t imagine reading it without having some prior exposure to the X-men. This is not a book you can give to just anyone, but it is definitely one of the best books I have ever read. It is uncomfortable and really hard hitting and makes the reader question if the main protagonist is truly a good guy and if the “big bad” is truly a bad person or just a man who has the best of intentions to save his people but loses sight of the lines that should never be crossed. Scalped follows Dashiell “Dash” Badhorse as he returns to the Prairie Rose Reservation after being sent away by his mother fifteen years earlier. But the reservation he returns to is not the same as the one he once called home. Now Prairie Rose is being run by Lincoln Red Crow, a former activist with a questionable past, who is in the middle of trying to build what he feels is his crowning achievement. The Crazy Horse Casino. Dash is quickly swept up into the shady underbelly of reservation politics when he gets a job as an officer in the tribal police department from Red Crow. But what is the real motivation for Dash returning to the reservation? And why was he sent away by his mother in the first place? 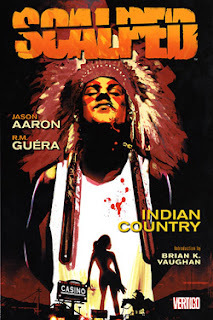 Those are just a couple of the mysteries that ensnare the reader throughout the 60-issue run of Scalped, but I am not going to ruin any of the twist and turns that take place. But I will say The Shield and Sons of Anarchy have nothing on this gritty series. And I will also say that either Shawn Ryan or Kurt Sutter would both be amazing choices to translate the comic to television in my opinion. Writer James Robinson wrote his magnum opus with this series. It’s a timeless tale of a son trying to live up to the legacy of his father. Jack’s father, Ted Knight, was Starman, a hero of the silver age. He was powerful and respected, but aged out of the role. He had two sons, David and Jack, who couldn’t be more different from each other. David was the “favored son”, he was athletic, charismatic. Jack, on the other hand, was rebellious, introverted, and artistic. David was clearly the right choice to inherit the mantle of Starman. One small problem with his Starman career--he died. Through a series of events Jack begrudgingly takes on the mantle. As the series continues, we see him struggle with his new role, but we also see some real growth in him as a hero and a person. This series is a beautiful tale of family, of sacrifice, and what it really means to be a hero. It’s a sprawling epic that even takes to the cosmos. It somehow manages to be very friendly to new readers and pays homage to legacy. Thanks for reading our article. If you have any comments, questions, or suggestions for other books to read. Please leave them in the comments section. And as always. Keep Reading Comics Fans!! !